was formed in 2007 as pravopreemnitsy LLC "AFOS Petersburg" for the period of its existence has gained and accumulated experience of all the best agent companies in the field of the Transit Agency. Throughout the time of activity of LLC "AFOS Logistics" is one of the twenty active agents in the seaport "Big port of St. Petersburg",and one of the 10 transit agencies . Since its founding, the company has expanded the list of its services , employees of the company have accumulated rich experience and is ready to provide comprehensive assistance for the smooth and prompt delivery of goods performed by the Customer ,from the shipper to the consignee . • To act as the representative ,on behalf of the shipowner and other companies who need Agency services, representation and protection of their interests in ports of St. Petersburg, Primorsk, Vysotsk, Ust-Luga. • To perform the role of transfer agent ( interaction with the Authorities , customs and border clearance, inspection, Flag Control, RMRS and RRR) in the ports of St. Petersburg, Primorsk, Vysotsk, on the organization of passage of vessels and cargoes in the shortest terms and with minimal costs. • Organize registration of cargo, to help develop a cargo plan and to coordinate the actions of the stevedoring company of its implementation for expeditious implementation of loading and unloading operations. • Timely and promptly informed of all changes in customs and any other rules and regulations issued by the Administration seaport "Big port of St. Petersburg", the Ministry of transport of the Russian Federation and other Government departments, to avoid unexpected losses by all stakeholders. • Produce according to Customer's request for a sanitary or quarantine inspections, medical aid and repatriation of crew members. • To provide services delivery members of the crew, supplies, Control and representatives of the ship owner, using its own towing fleet. • Develop and coordinate all regulatory inspections of projects towing of floating objects in coastal traffic , as well as on GDP. • Assist in the organization of occasional stretches of courts under the Russian Flag and under Foreign . • To provide full legal assistance in the registration of Property rights on ships in the map "Big Port of St. Petersburg", FBU "Volgo-Balt", FBU "White-Baltic Canal", GIMS for St. Petersburg and Leningrad region. 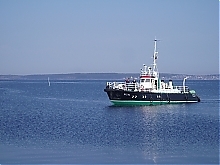 FSUE "Lenvodhoz", JSC "Southport", LLC"Mortrans", LLC "Arctic Bureau", JSC "Moscow Tourist Fleet", LLC "Kinston logistics", JSC "Shipbuilding Company Almaz" ,JSC "ROSNEFTEFLOT", LLC "Petrozavodsk Shipping Company". "Reka Shipping Hamburg", "Hamburg Seatamar Shipping" and I hope that Your company will join this list on the basis of mutually beneficial cooperation.